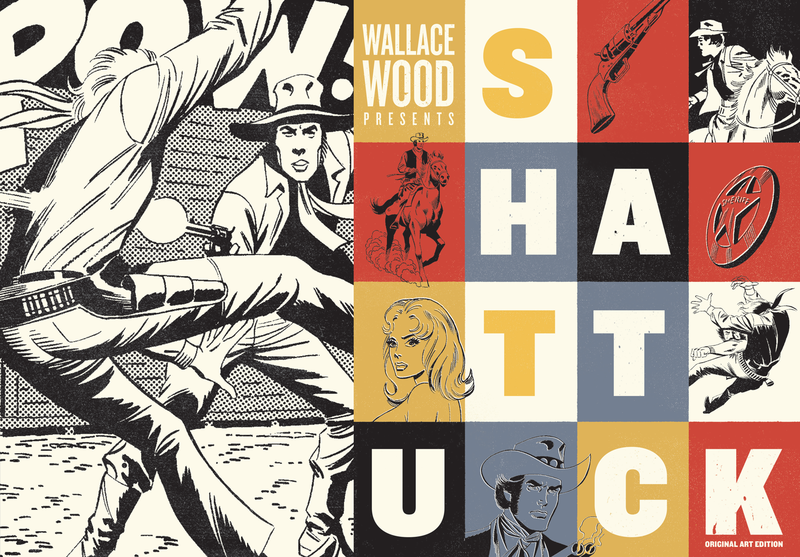 Shattuck is more a collector’s curiosity than a bona fide graphic novel, pulling together the episodes of a short lived Western newspaper strip produced in 1972 for the Overseas Weekly, a paper circulated to the large US military population serving abroad. 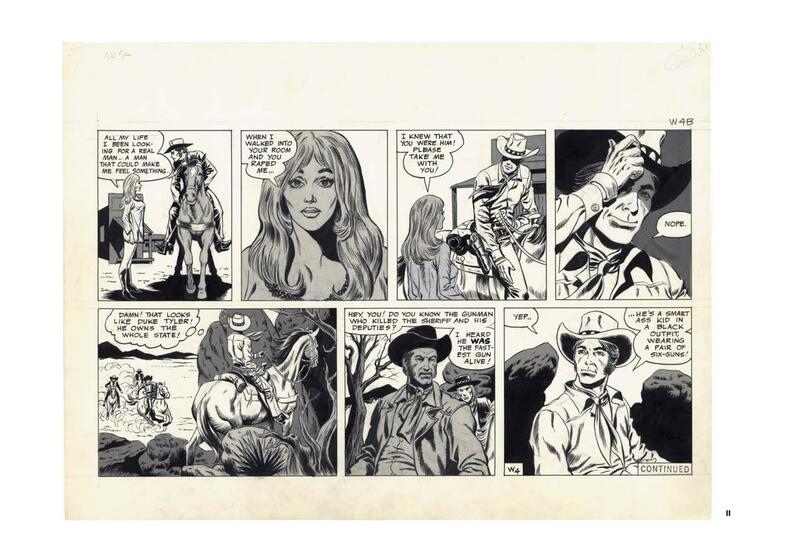 Veteran comic artist Wally Wood’s studio had the contract to produce the strip, and as with others for the same market, one of the artists recalled the brief as being to get the women’s clothes off as rapidly as possible. It can’t be said that Wood underestimated his audience. 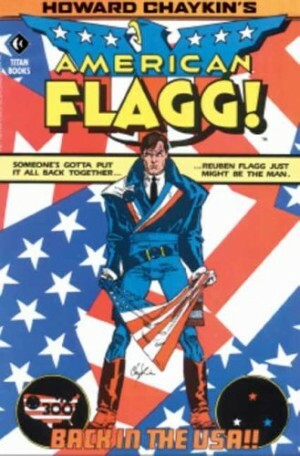 Merle Shattuck is a deadshot cowboy enraged when the local sheriff guns down his rowdy companions. Shattuck wasn’t with them as he was in a woman’s bed at the time, one of his two preferred locations, the other being a bar. Beyond the intrusion of breasts aplenty, the strip’s a relatively standard replaying of Western situations injected with the occasional piece of wit. By 21st century standards, however, some elements are jaw-dropping. The casual sexism and exploitation might be expected for the era, but the content of the sample page takes the breath away. At the halfway point the poacher becomes gamekeeper as Shattuck takes the post of Sheriff, and a noticeably greater refinement applies, with increased concentration on Western adventure and naked women all-but eliminated. This continues into Shattuck’s outlaw period, where the strip abruptly terminates. This later period is better in terms of story quality as it replaces the naked women with greater personality and tension. 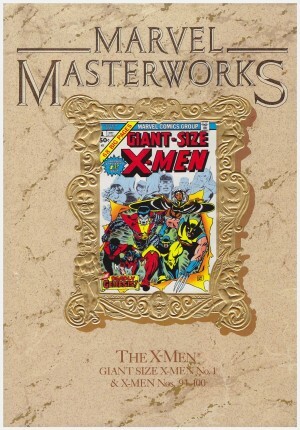 Many hands worked on the project, and an entertaining essay in the back of the book breaks the process down. 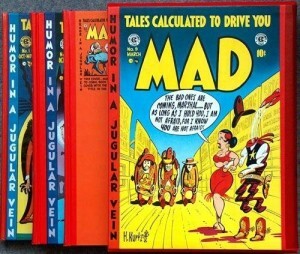 Wood himself might be involved in any episode plotting, laying out, adding inks or correcting, while his chief studio assistant Nicola Cuti also produced plots and layouts using a swipe file. 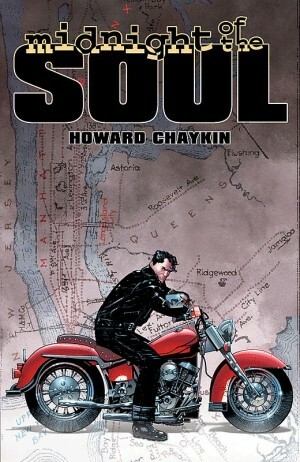 Most of the actual illustration was the first published work of Howard Chaykin, then Dave Cockrum, both usually inked by Jack Abel. Both Wood and Abel have utterly distinctive inking styles, so there’s no difficulty in recognising which worked on which strip. As contextualised archival restoration Shattuck is a first rate production. However, interesting as it is as cultural documentation, every creator involved produced far better work elsewhere and as a strip Shattuck is decidedly average.